Privacy, space, excellent sailing performance are just some of the main characteristics of Lagoon 440. 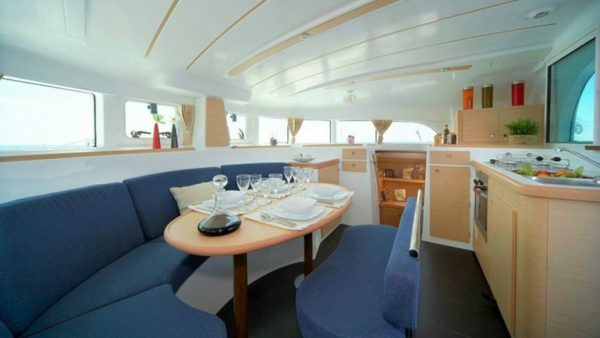 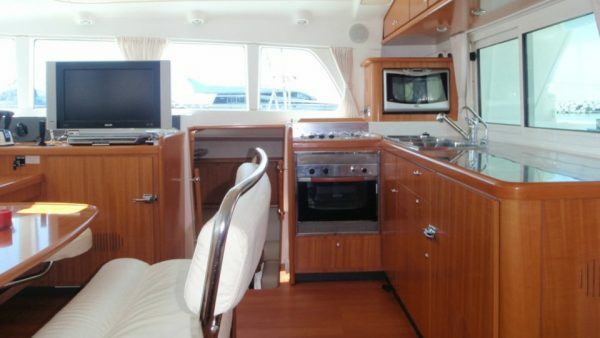 With six elegant cabins, she is perfect for groups of ten guests. 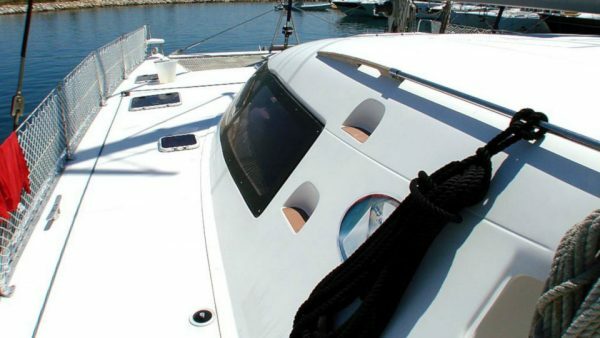 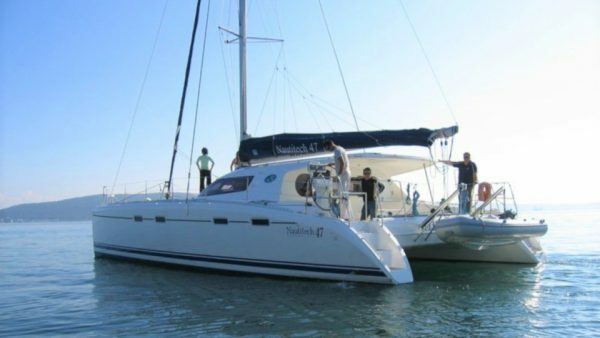 She is available for bareboat and skippered charters in Greece. 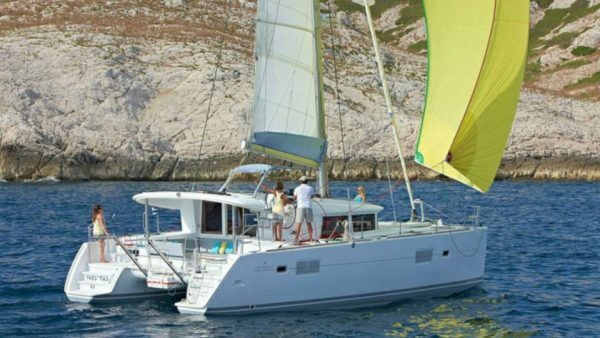 Lagoon 450 combines comfortable, easy-to-manage sailing and spacious, well-appointed accommodation. 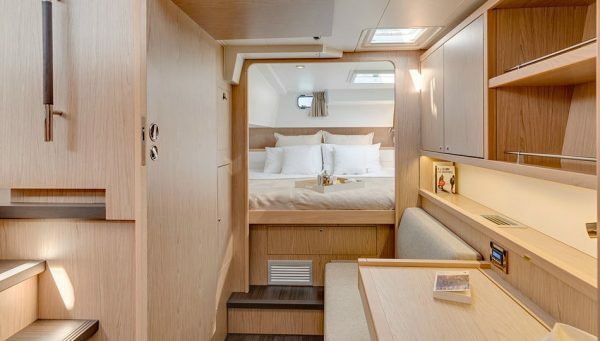 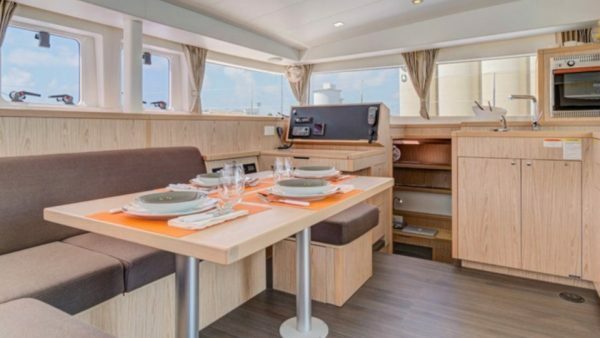 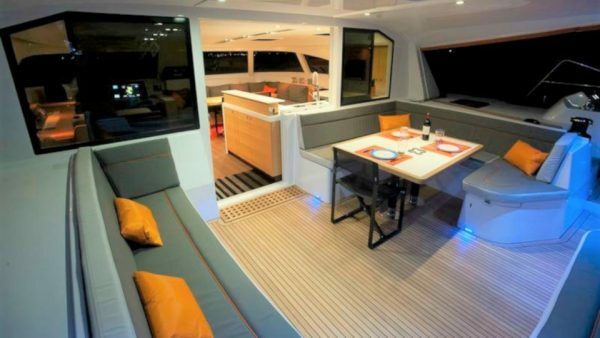 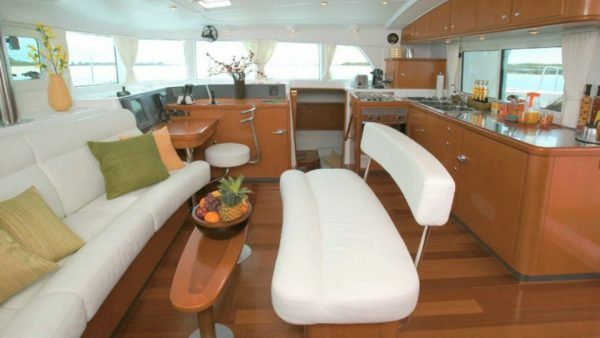 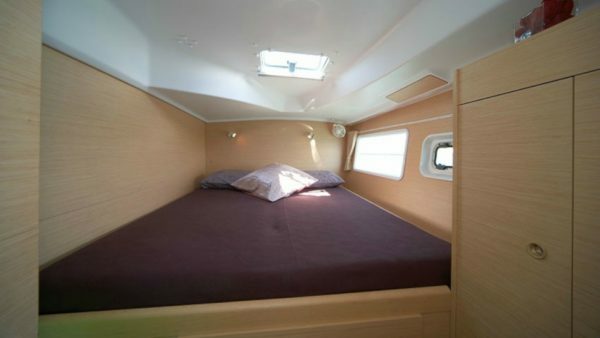 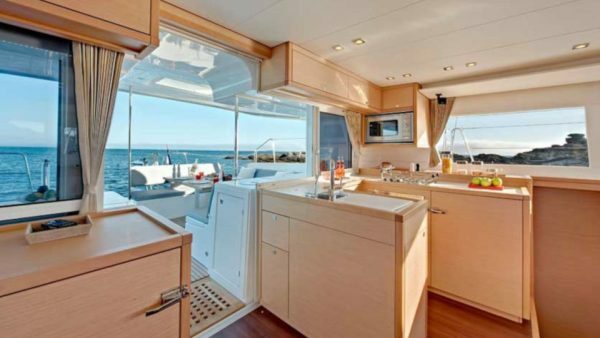 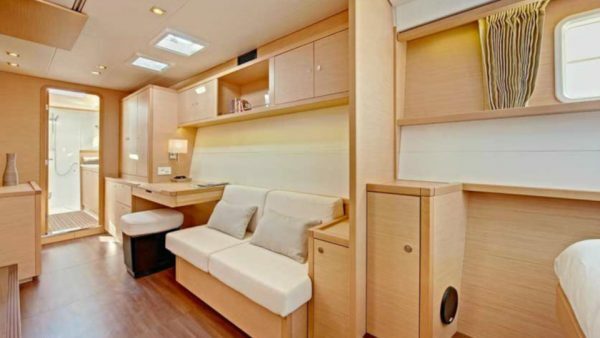 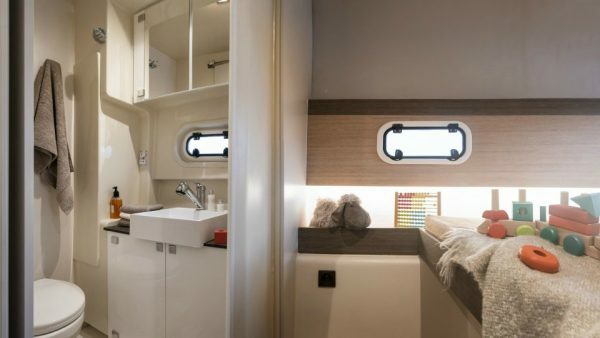 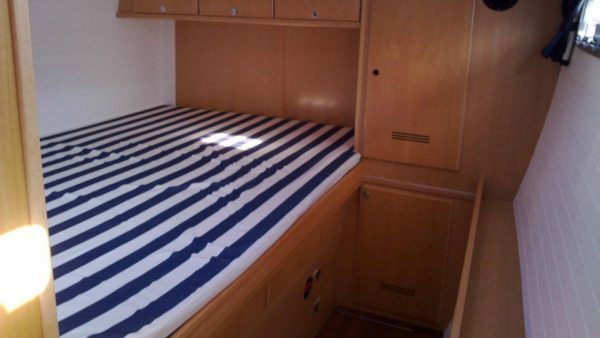 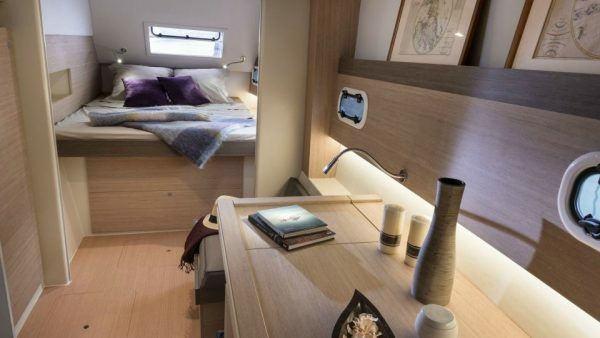 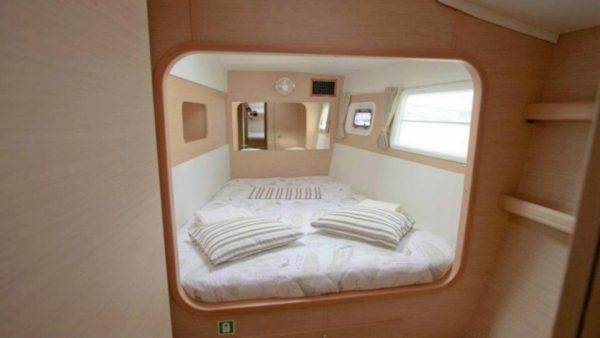 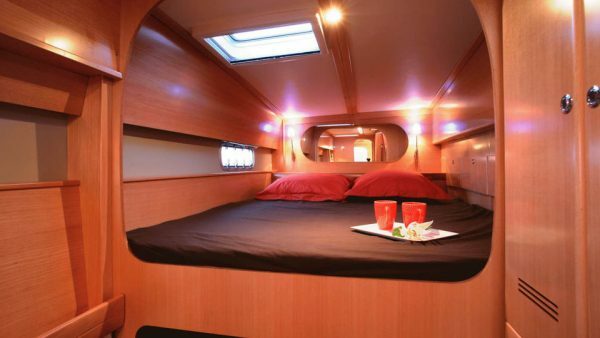 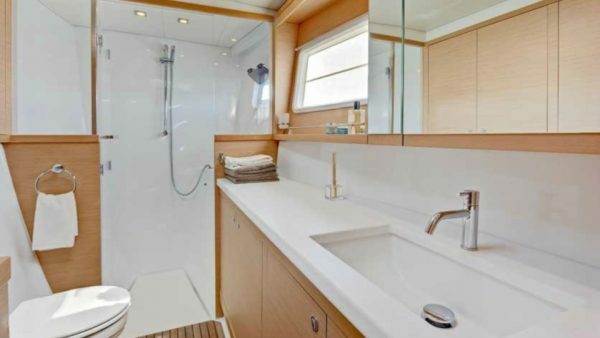 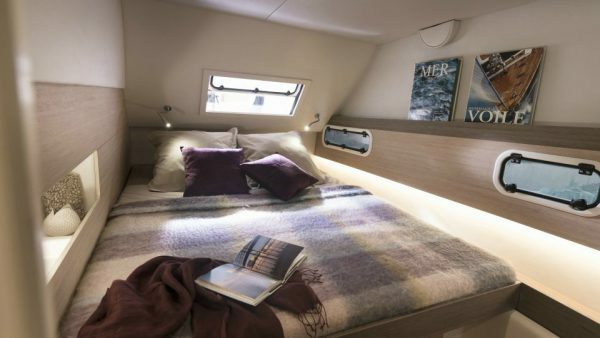 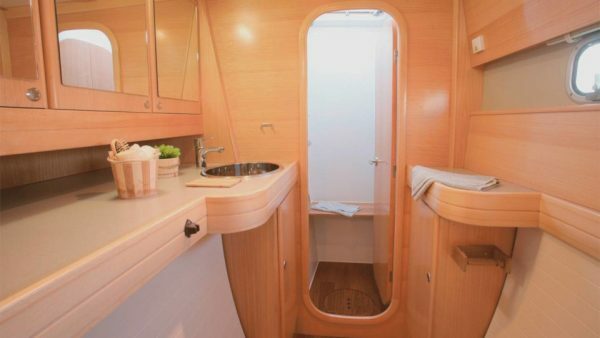 Her interior presents vast amounts of space for a catamaran. 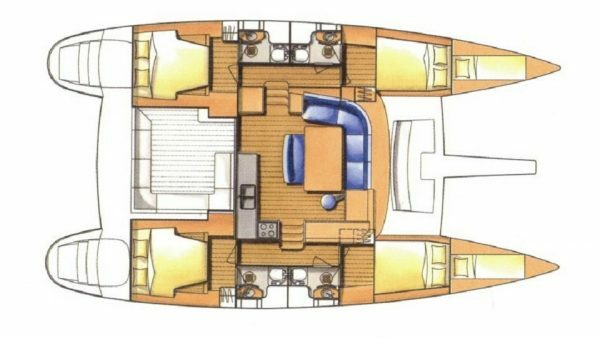 The aft deck leads through to a large saloon that features a spacious L-shaped lounge around a dining table for at least eight persons. 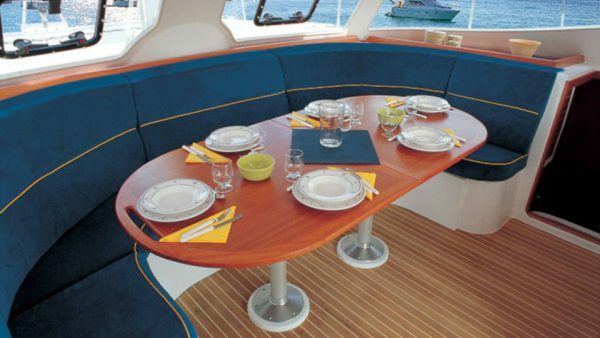 Undoubtedly, Lagoon has established itself as the design benchmark in bareboat charter catamarans! 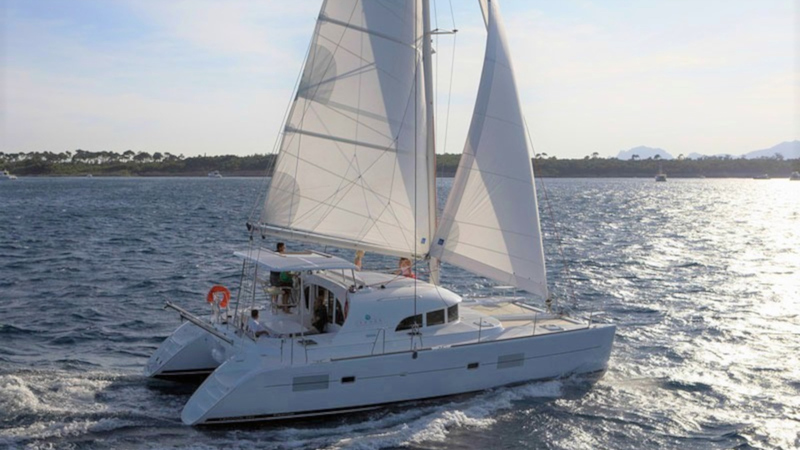 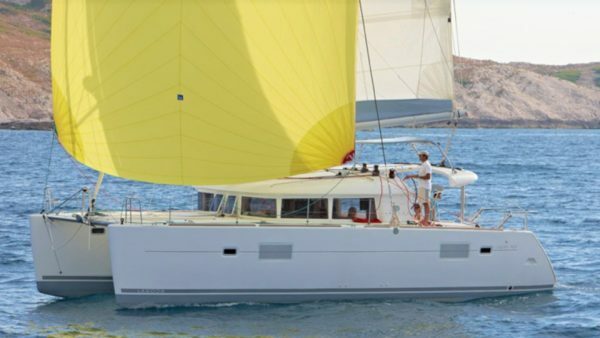 The Nautitech 47 catamaran is available for luxury bareboat and skippered charters in the Greek islands. 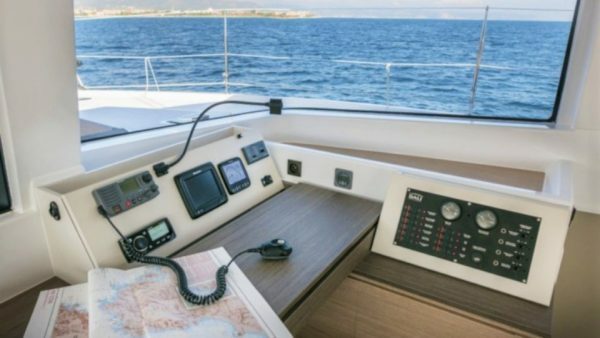 Her flush deck and extra wide walk around make navigating your way around the yacht so much easier and safer while sailing. 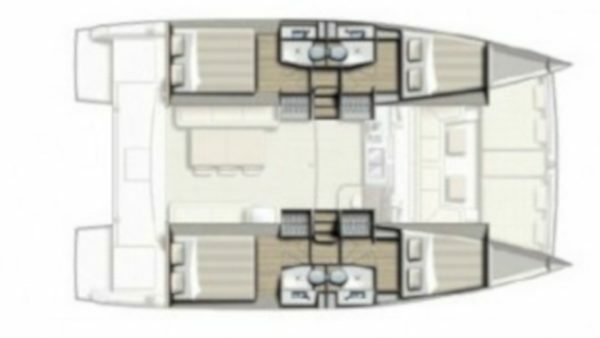 She presents an open-air saloon and a u-shaped galley. 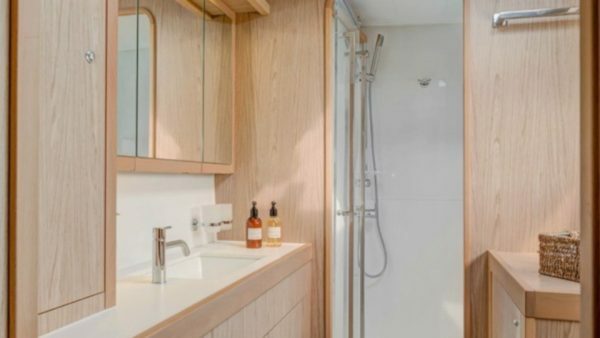 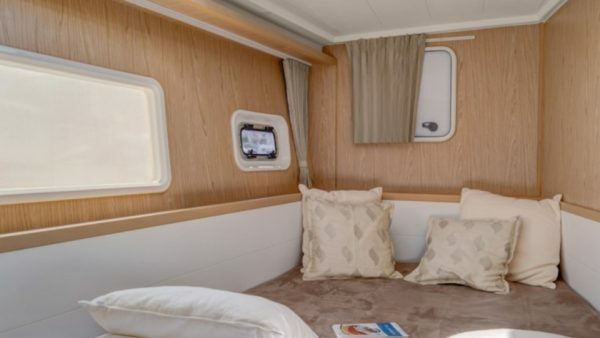 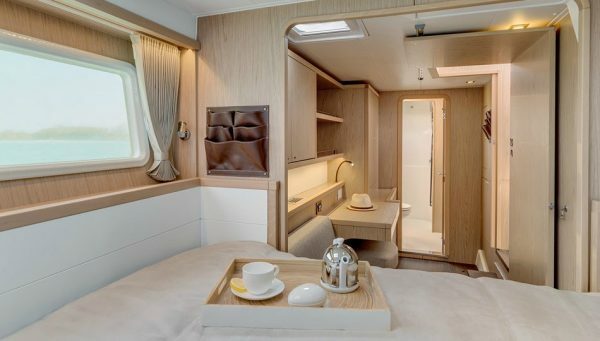 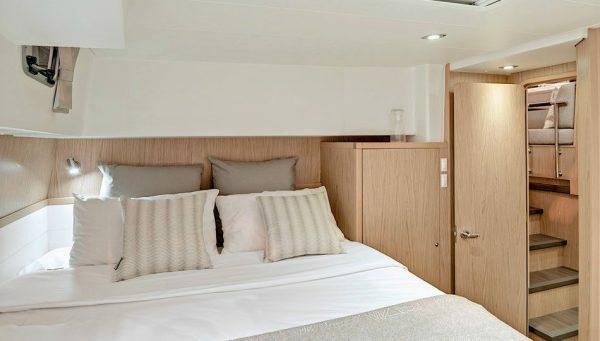 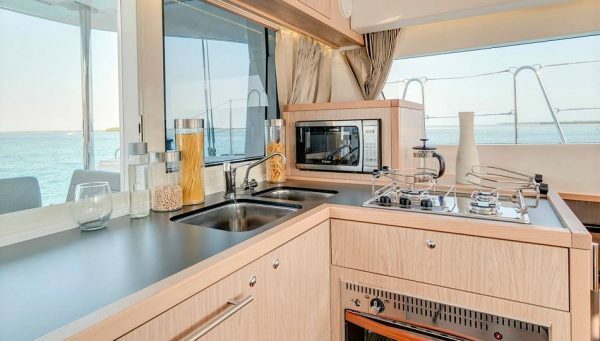 Her beautifully designed interior and her reliable design can accommodate up to ten guests in four double cabins with ensuite facilities and two single cabins. 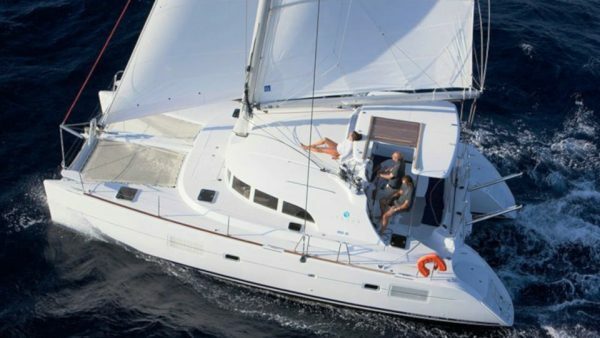 Lagoon 380 is the ideal yacht for bareboat charters in Greece! 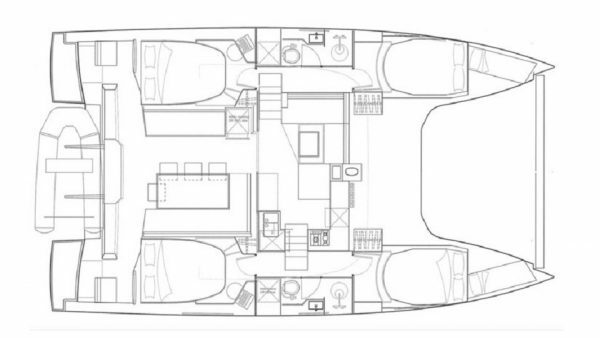 She presents a nice layout of six cabins, four double and two single, and two heads with showers. 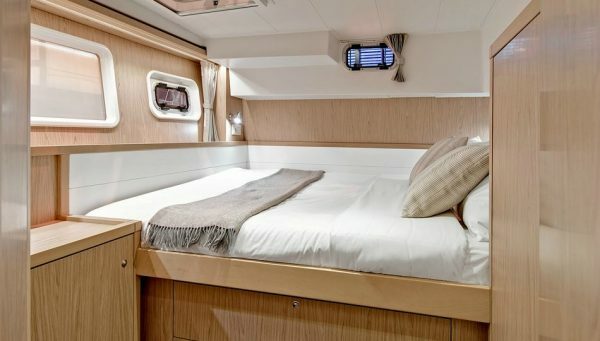 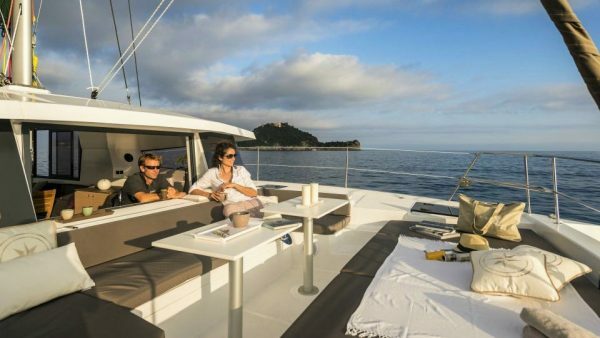 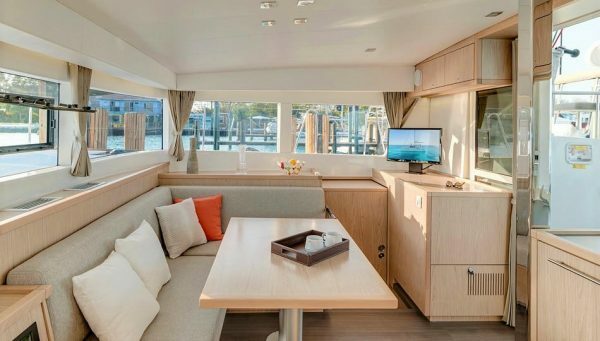 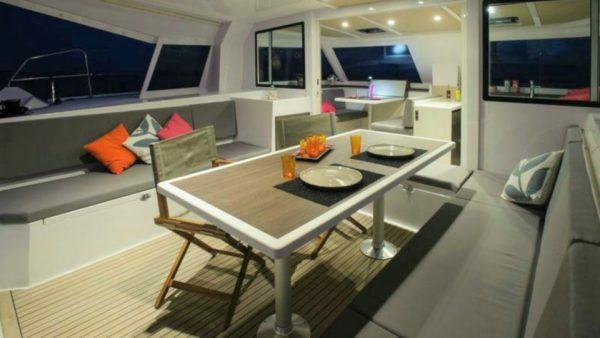 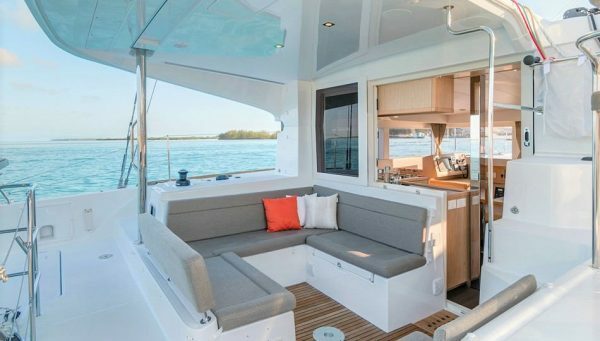 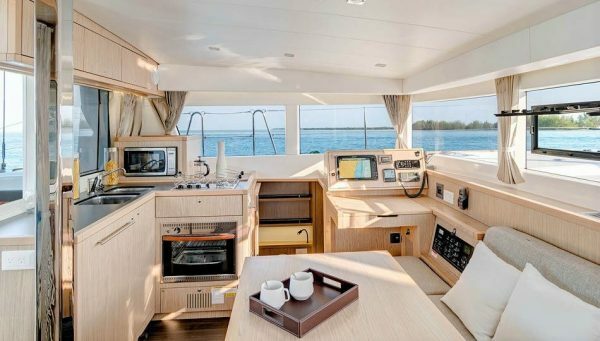 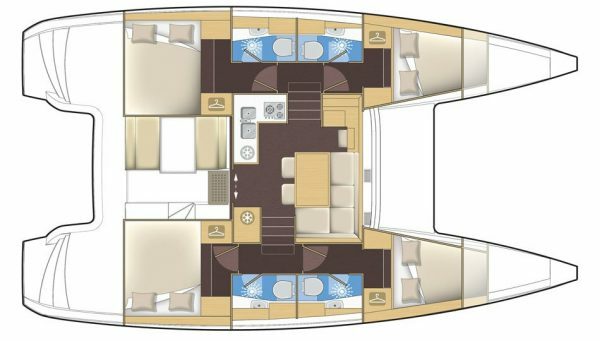 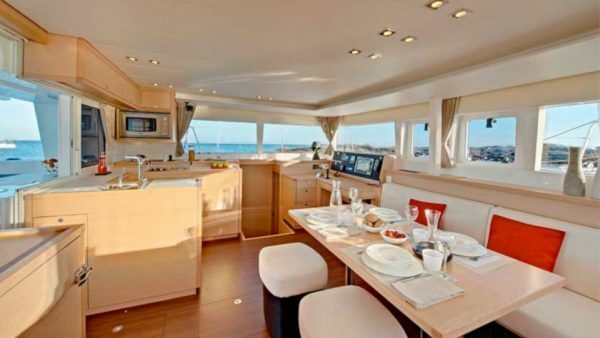 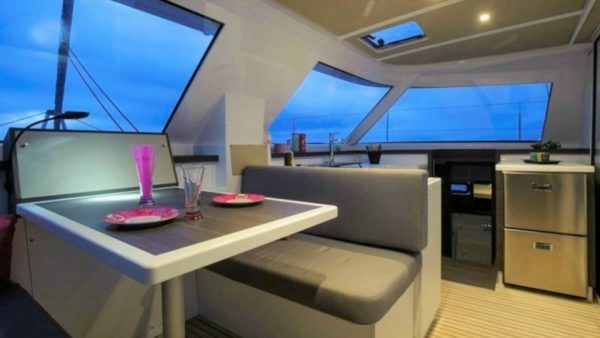 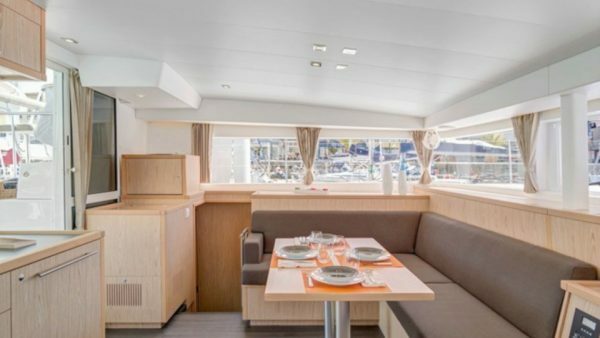 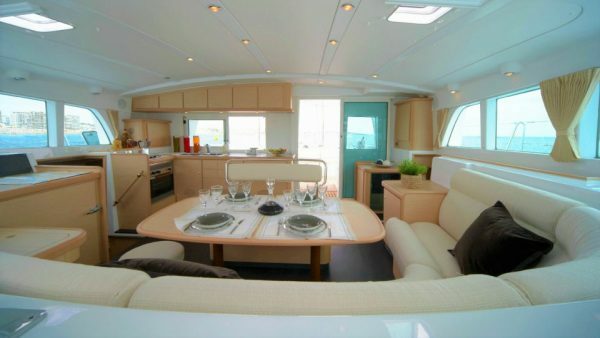 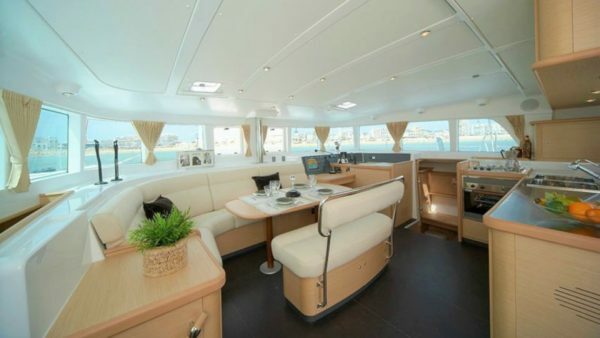 Lagoon 380 features a panoramic saloon and galley and a comfortable cockpit perfect for lounging and dining al fresco. 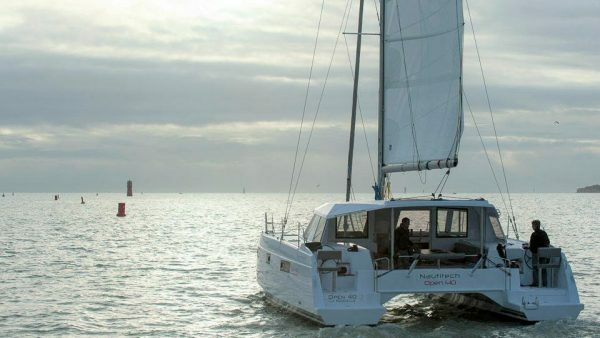 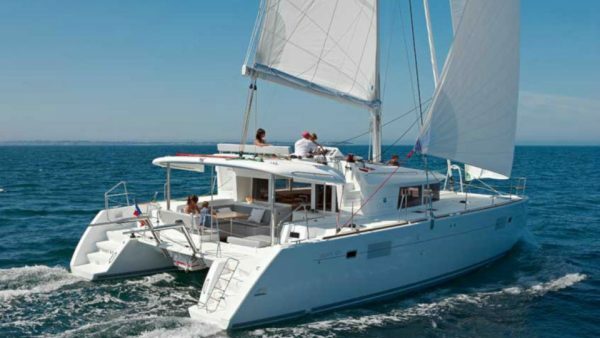 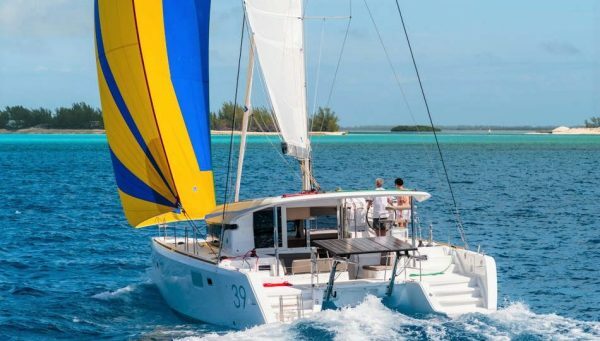 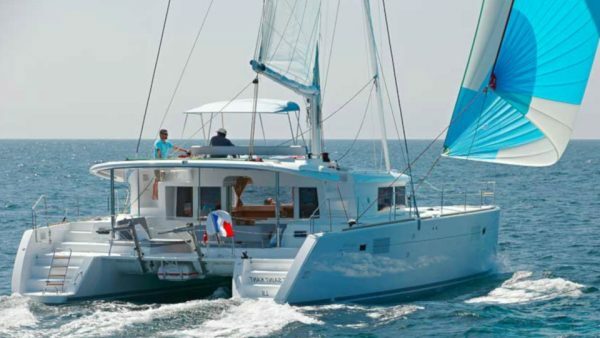 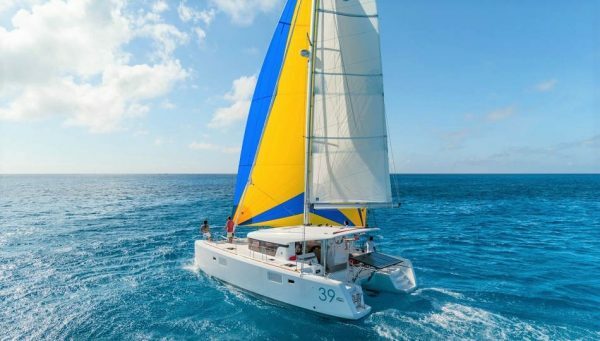 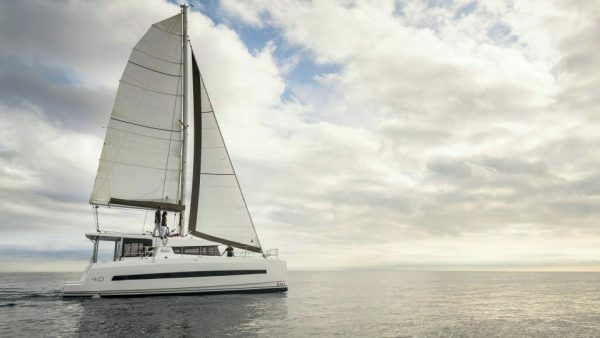 Lagoon 39 is a stylish catamaran which combines excellent sailing performance and modern design! 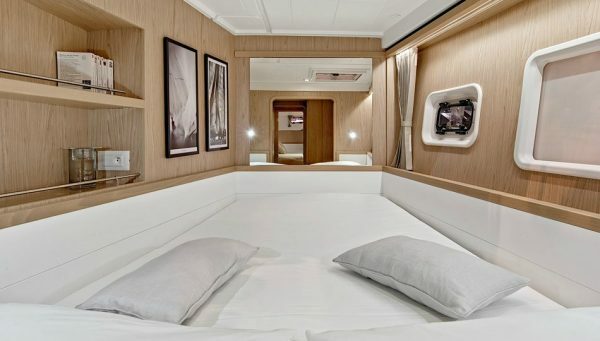 Her six cabins have incomparable natural lighting thanks to the fixed hull windows. 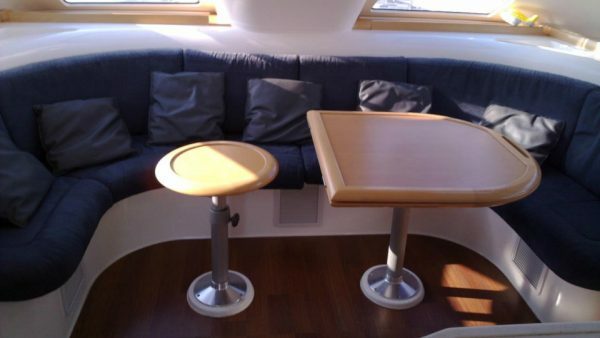 Her saloon presents a large dining area and a chart table with a panel for navigation electronics. 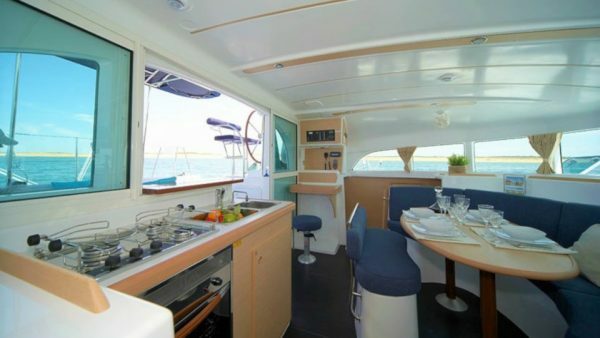 Aft to port, the L-shaped galley has direct access to the cockpit for better usability. 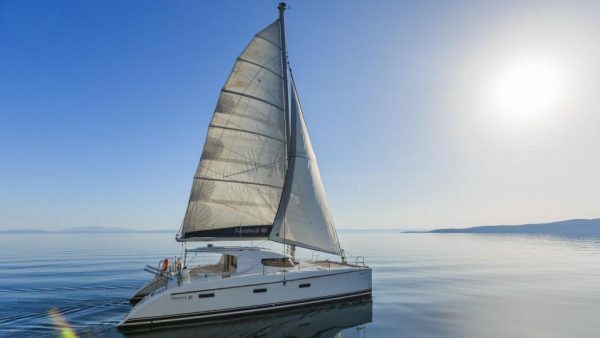 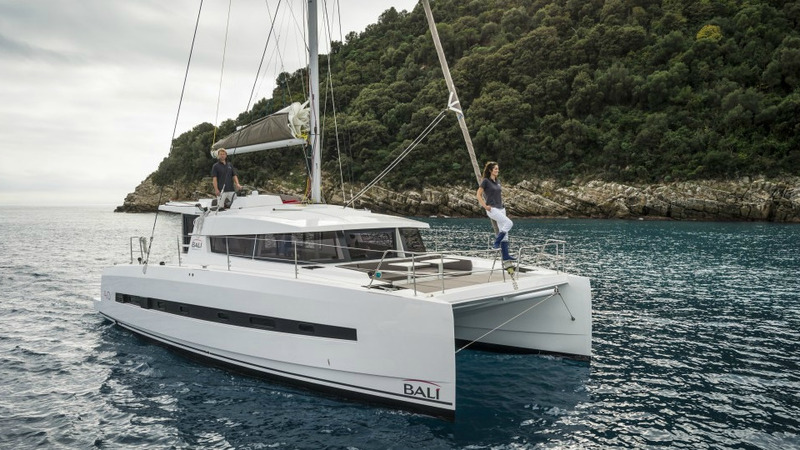 Bali 4.0, built in 2016, is perfect for bareboat and skippered charters in Greece. 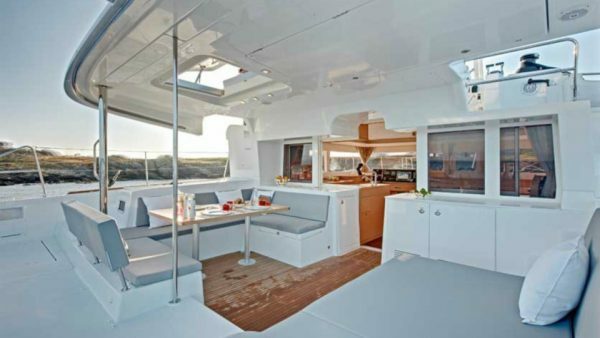 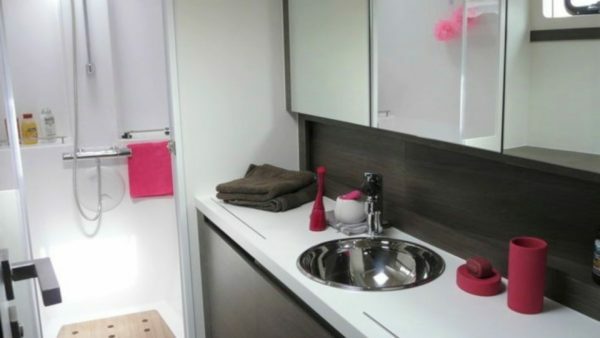 Presenting vast, unhindered interior and exterior living spaces, she offers new pleasures to all catamaran enthusiasts. 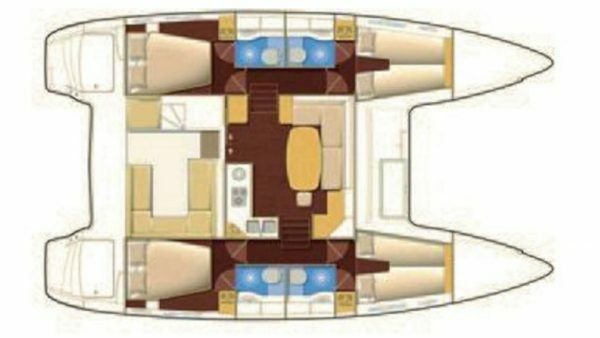 Bali 4.0 is characterized by a single cockpit/saloon area accessible via an immense folding glass door on electric rams. 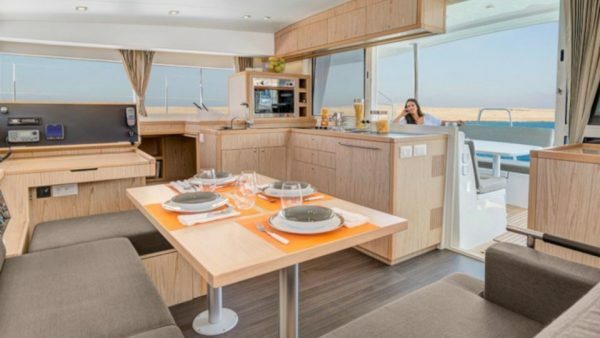 Instantly you can switch from cozy mode to lounge mode with a panoramic view over the sea! 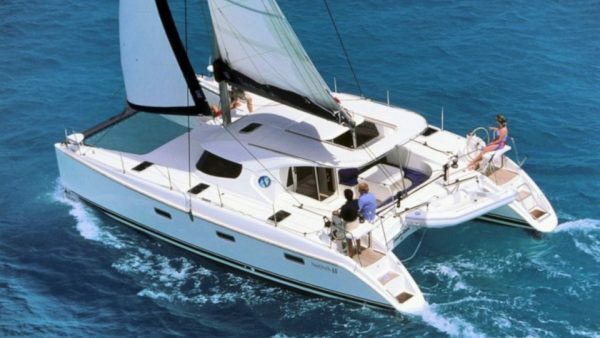 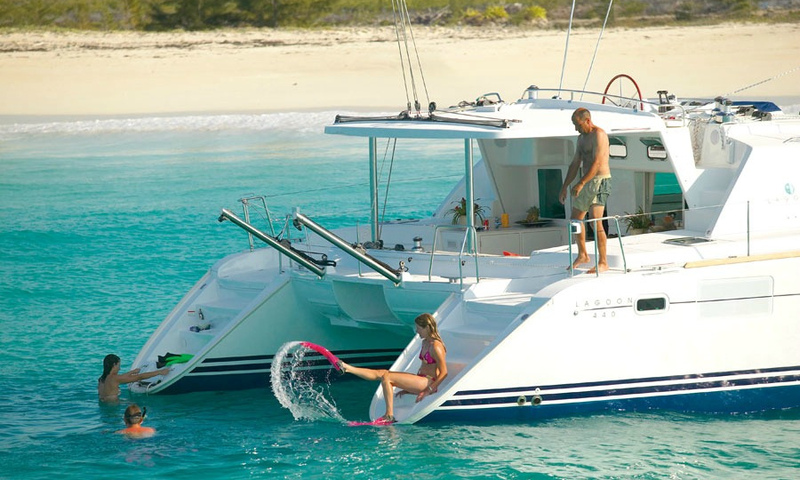 Lagoon 400 is a spacious, easy to navigate catamaran. 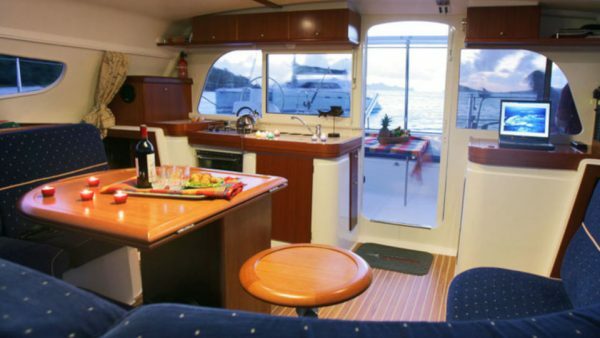 Like all Lagoons she is reliable, innovative, fast and comfortable at sea and at anchor. 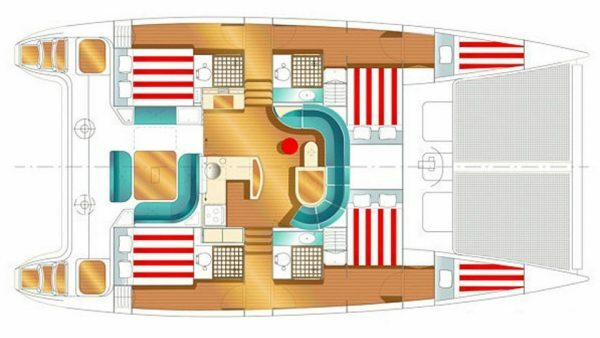 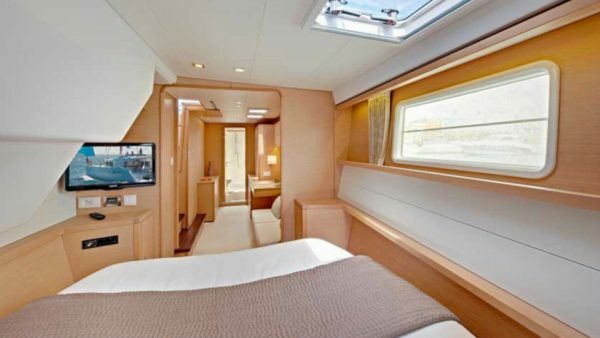 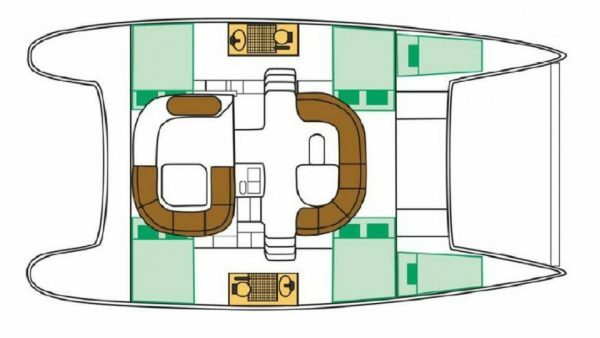 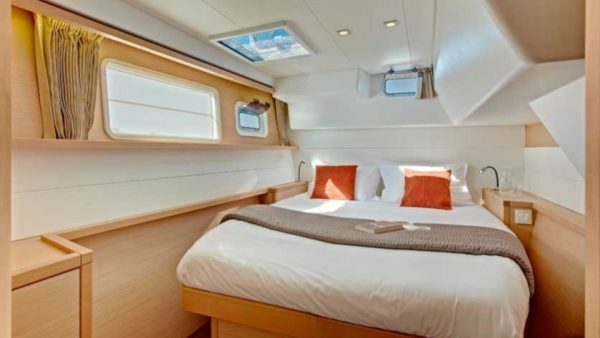 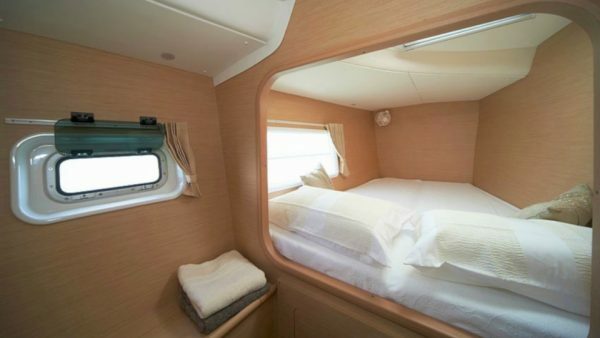 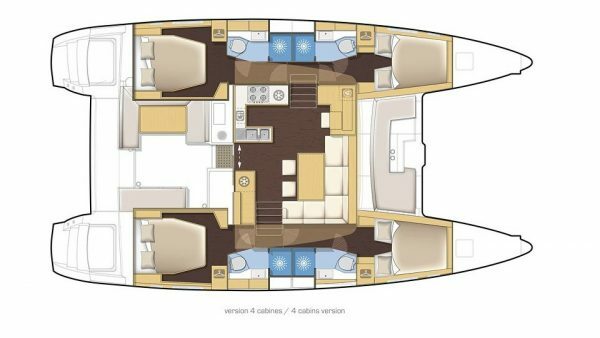 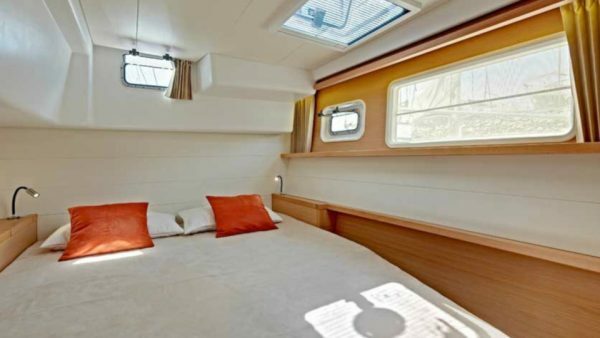 She features a nice layout of four double cabins and two single cabins, accommodating up to ten guests. 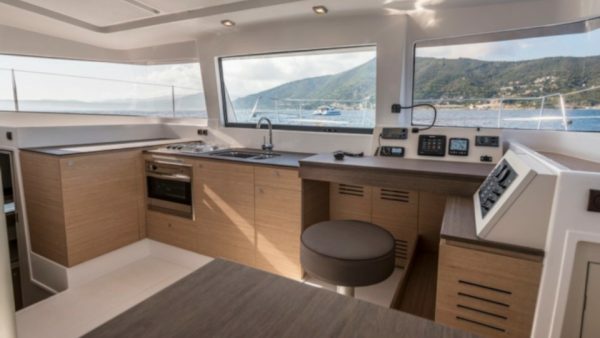 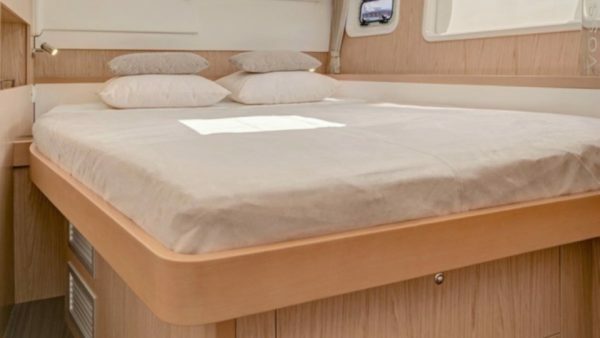 Nautitech 40, available for bareboat and skippered charters throughout Greece, presents modern and elegant interiors of rich teakwood finishing. 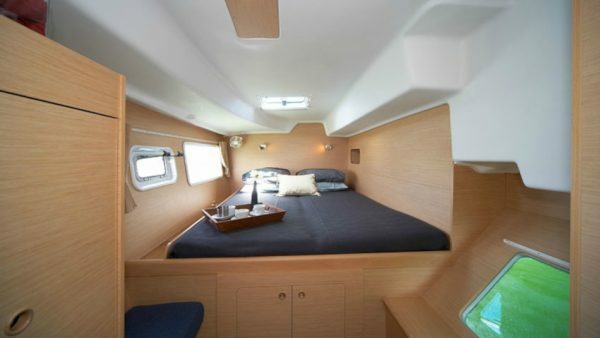 The cockpit has enough space for passengers to come together and have fun. 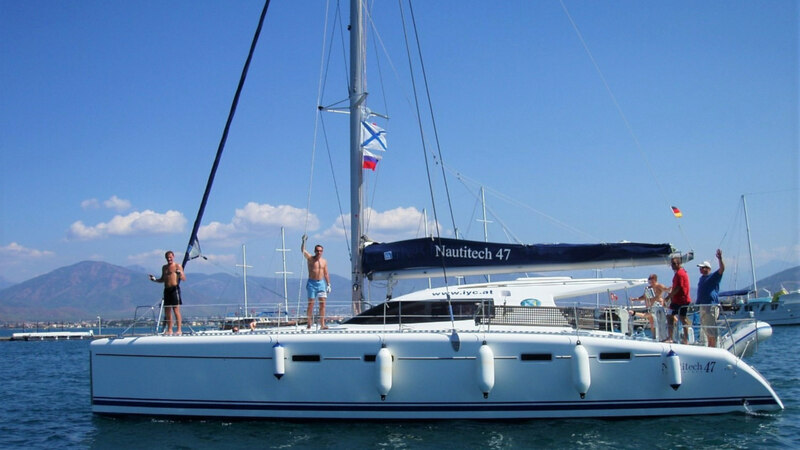 Nautitech 40 has a superb sailing performance, stable and safe! 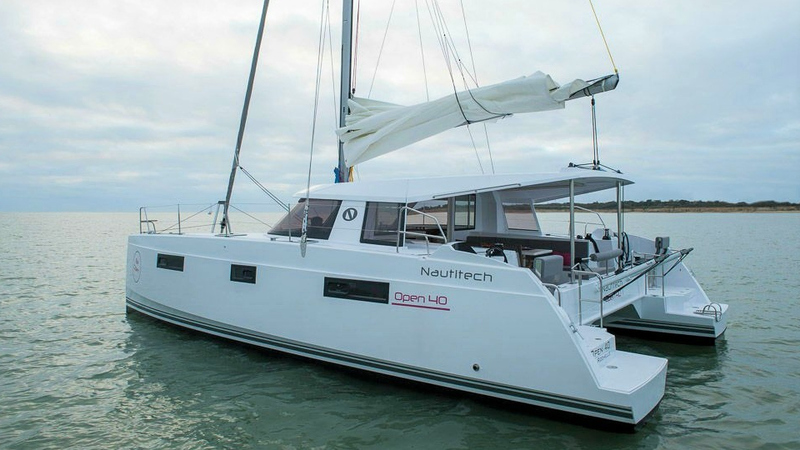 Nautitech 40 Open, launched by Nautitech Catamarans in 2017, presents contemporary design and innovative style. 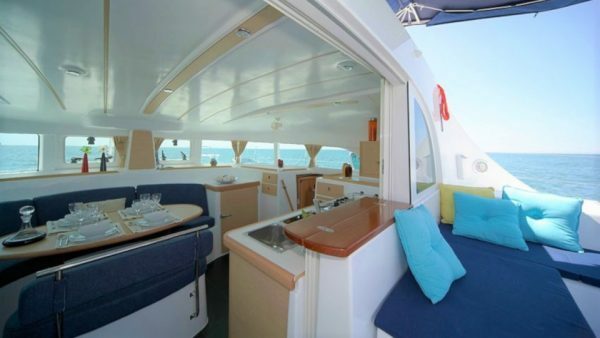 She offers a superb sailing performance and six spacious cabins which can comfortably accommodate up to ten guests. 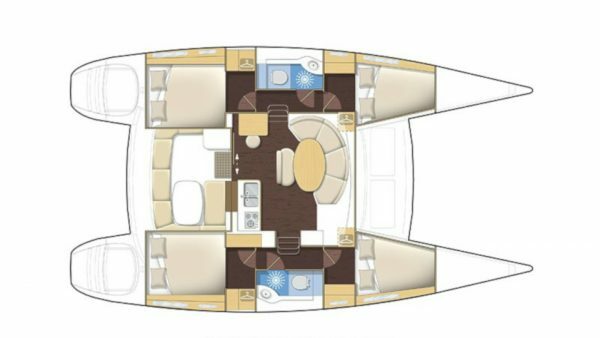 Thanks to the unique Open concept, the cockpit and the saloon flow into one shared living space. 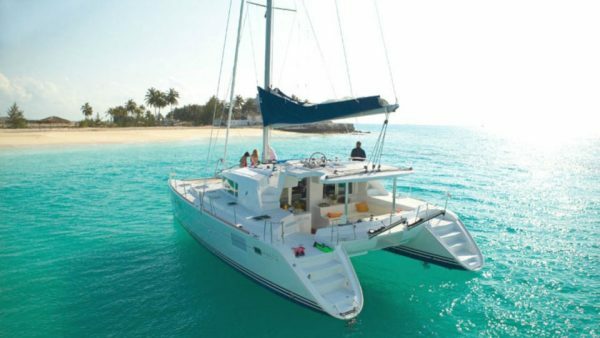 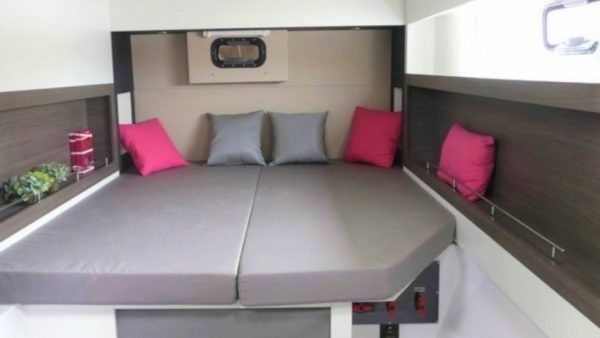 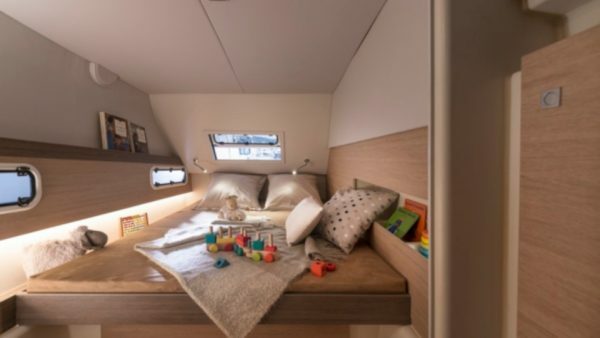 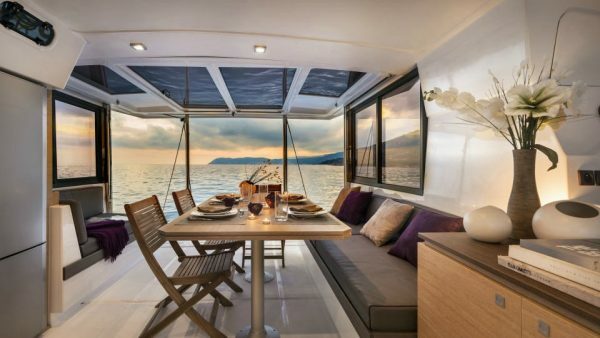 She is the ideal catamaran for traveling with family and friends!